Stadium cushion / blanket combo! 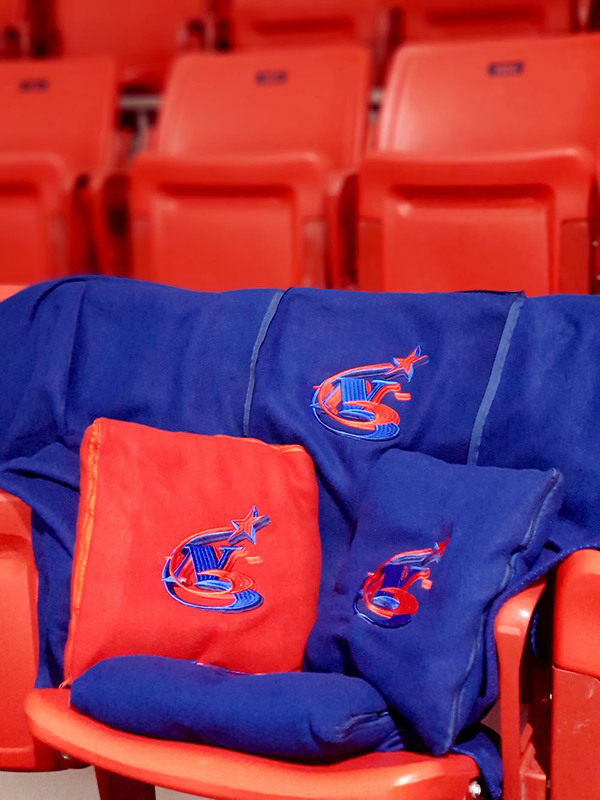 Comfortable stadium seat cushion unzips to reveal a polar fleece blanket. Ideal for the rinkside environment. Your only dilemma - do I sit on the cushion or wrap myself in the blanket? You'd best buy two ;) Available in red or blue.